In the 19th century, scientists working with chemistry and magnetism began discovering a rich variety of electrical phenomena. These were to be applied later in inventions including motors, alternating current, radio, batteries, the telephone, and much more. This is the story of a new branch of science that changed the way the world does physical work and the way it controls information, spurring the Industrial Revolution, followed by the Information Age. David Bodanis demystifies the world's most famous equation, explaining its science and bringing it to life. He makes clear the astonishing array of discoveries and consequences it made possible and its impact on our daily lives. At last, the masses can understand that Einstein did nothing less than open the door to the inner structure of the universe. We are all familiar with the idea that machines are powered by electricity, but perhaps not so aware that this is also true for ourselves. "The Spark of Life" is a spectacular account of the body electric, showing how, from before conception to the last breath we draw, electrical signals in our cells are essential to everything we think and do. These signals are produced by some amazing proteins that sit at the forefront of current scientific research - the ion channels. They are found in every cell in Earth and they govern every aspect of our lives, from consciousness to sexual attraction, fighting infection, our ability to see and hear, and the beating of our hearts. From the author of the bestselling E=MC2 comes a mesmerizing journey of discovery illuminating the wondrous yet unseen force that permeates our world and the scientists who've probed its secrets. Before 1790, when Alessandro Volta began the scientific investigation that spurred an explosion of knowledge and invention, electricity was perceived as little more than a property of certain substances that sparked when rubbed. Now we know that this force is responsible for everything from the structure of the atom to the functioning of our brains. 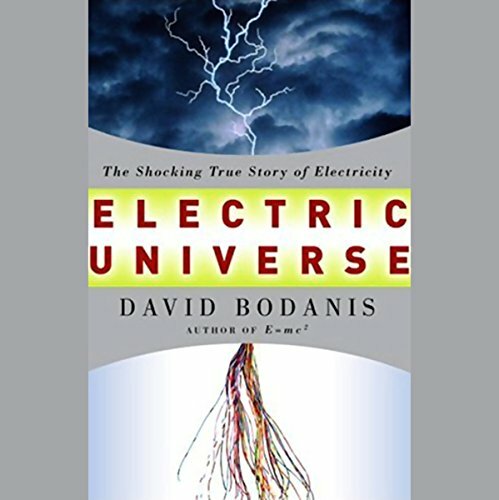 Bodanis, a superb storyteller, tells a story filled with romance, divine inspiration, fraud, and scientific breakthroughs revealing how we learned to harness electricity's powers. The great scientists such as Michael Faraday and Samuel Morse come to life, complete with all their brilliance and idiosyncrasy. ©2005 David Bodanis (P)2005 Books on Tape, Inc. This was arguably one of the most enjoyable books I've listened to in a long while. 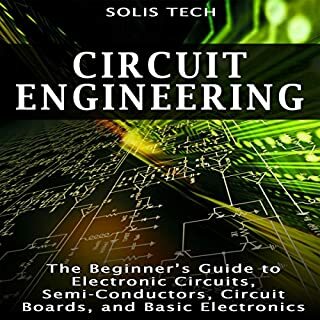 While my own background is Electrical Engineering, there were concepts and ideas presented in such a simplified manner that this book should be required reading for all students. The history of how our version of electricty came to be was interesting not so much for how the various discoveries came about but the from the human side. There were many interesting stories that I had not heard before or fully understood the personalities involved. The narration is very well done which adds to the enjoyment. An example is the authors discription of how RADAR really works, not how people thinks it works and how something devised to protect England was taken from the creator and used to firebomb a German city to the absolute distress of the creator. You get the full impact from the joy of discovery to the total dispair as women and children were incinerated. You feel the joy of Alexendar Graham Bell working to help the deaf while bringing us the Telephone which revolutionized the world. And while the all widgets are cool, the author goes into how electricty makes us humans work. I learned more from this book than I did in two semesters on biology. Maybe I paid more attention this time but I dont think so, I think it was the excellent presentation of what could be very complex material. All in all, this is must-listen to audiobook. Given the number of medium to bad reviews here, I thought I'd throw in my "plug." Since I never use audiobooks for scholarly reference, I am not as concerned about accuracy as I might be reviewing a printed text. While the points on accuracy or oversimplification made by some of the reviewers here are well taken, they didn't affect my pleasure in the work, which I thought an excellent audiobook. The writing is quite good and intelligent, at a good pace for audio, so even the author's digressive flights of fancy on the social effects of the transistor, for example, are enjoyable, imaginative riffs. The history of electricity presented here is periodic and a bit quirky, not at all comprehensive. Each episode centers on one or two historical figures and their advancement of electrical knowledge, from Volta to Turing, from telegraph and radar, up to microchips and synapses. The stories are well-told and I actually appreciate the "oversimplified," Dickensian manner in which the author paints his characters in moral hues as villains (Morse, Shockley, etc.) or heroes (Faraday, Turing, etc.) I knew nothing about the topic, so learned much, listened to most chapters twice, and was inspired (or perhaps embarrassed) into learning a bit more about electricity, which is, after all, the deity underlying our modern social structure. Overall, very good audiobook. The reader is good--pleasantly, gruffly avuncular. If you don't know much about electricity I believe you'll like it and learn. I knew little about electricity other than Thomas Edison worked with it before encountering this book. It is well written, informative, and makes the technology available to the listener. Placed in historical context, the heroes and frauds alike are introduced with enthusiasm and grace. For a delightful change of pace, you might just enjoy Bodanis' Electric Universe. It is well written and well read which alone would put it on my own list. Interesting stories but factually incomplete. 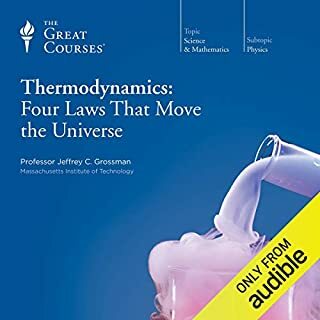 No mention of Tesla with regards to radio or the AC motor should give you an idea of the major omissions this audiobook has. The author can write. The telling is quite fast paced and random topics are woven together by the universal thread of electricity. On writing and telling, the book is five star. Alas, the author is neither a scientist nor understands how to check historical facts. One minor example is when he talks about Lord Kelvin and the age of the earth, he takes a quote out of context, “assuming no other source of heat”, and weaves a fantasy about how Lord Kelvin anticipated radioactivity. This story is well known, Lord Kelvin, one of the great thinkers of all time, refused publicly to add radioactivity into his calculations even when his private letters showed he began to doubt his previous arguments. I can forgive a great old man for not wanting to admit to a failing, but I cannot forgive an author who reads some scientific fact or historical bit and weaves a tale that does not reflect the known historical interpretation. Another example is when he talks about Turing but completely ignores Dr. John W. Mauchly and J. P. Eckert, Jr who built the first completly electronic computer (ENIAC). Turing’s lasting contributions were theoretical not practical, he actually failed in his attempt to develop a programable computer. But no reader would know Mauchly and Eckert ever existed fromt his book nor that Turing did not invent software! Time and time again the author regurgitates science with the wrong slant: the words are all correct but the overall impression is slewed. So the book is a fun read, use the book as a jumping off point to learn more, just don’t use the book as a reference on how electricity, or scientists, work. David Bodanis is truly great at writing the history of science. Even if I am well familiar with various histories, somehow he grabs my attention immediately, my dopamine neurons start going crazy, and I remained hooked for the entire book. I love the way he tells a history. 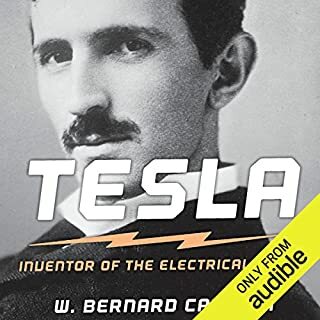 The one exception to his exceptional writing is that he wrote an entire book about electricity -- in the universe, in the world, and in the animal body-- without mentioning Tesla!! Edison received his due, as did so many others. How can anyone write a history of the discovery of electricity without discussing Tesla? It could be that awareness of Tesla's contribution was not as understood in 2004, when this book was published, as it is now. regardless of why, any book on electricity that leaves out Tesla cannot receive more than 3 stars. The rest of the book is 5 stars all the way. ​Beautiful histories of how humans discovered waves, which were all around us but unseen. Bodanis' history of Faraday was exquisite. Volts should be called Faradays and Bodanis will tell you why. I only wish he had given the same treatment to Tesla that he gave to Faraday. 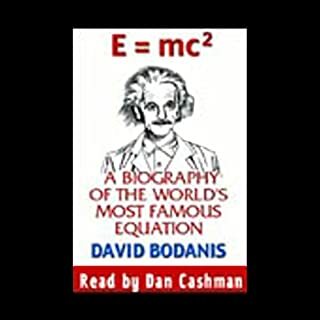 Bodanis examined electricity in the universe as it pulls opposite charged atoms together, creating wonderful reactions. When discussing the electricity in the brain, he begun the section with a beautiful image of stars exploding out the elements that would eventually help each brain mount a response. Excellent writing all around! 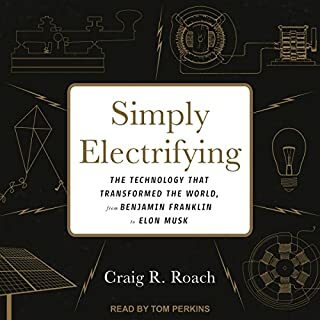 This well researched book added much human interest and background to many of the scientific and technological developments behind electricity and electronics. The author's overzealous attempts to simplify generated too many totally inappropriate analogies and lead me to suspect that neither the author nor the editor ever took even high school physics. Nonetheless, I learned much from the book and even more from following up on interesting leads mentioned in the book or omitted from the book (e.g. De Forest's invention of the vacuum tube). The books starts well, and gives us something to work with, but the narrator's voice is too gravely and distracting. He makes the book boring, and makes me feel like I'm listening to a science professor who should have retired 5 years before. The first part of the book was very engaging. 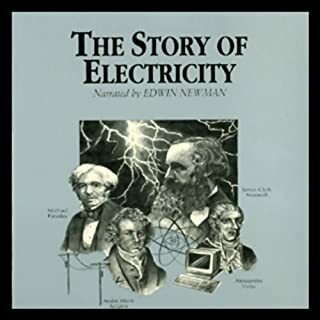 The science and development of electricity was presented within a historical context, with a focus on individuals and their struggles to understand their universe (if you are a LOST fan, you will love the background on Michael Faraday and his contemporaries). Fascinating stuff about the laying of the first transatlantic telegraph cable, the war effort, etc. However, two-thirds of the way into the book, it entered the modern era, and it became a science lecture about electrons, etc. Probably interesting if you really like the nuts and bolts of science; pretty darn boring for an English major. This is the first audio book I simply couldn't finish.